Priya is a young girl in southern India who is one of millions of modern day slaves, working in the garment industry. Priya is trapped by her culture and circumstances that tell her she is worth nothing more than to be a slave. But when a teacher believes in her, she discovers something powerful, herself. Current estimates state that over 100,000 adolescent girls are in modern day slavery in Tamil Nadu, India. Young adolescent girls often work in dangerous conditions in spinning mills, one step of the long supply chain of how cotton becomes clothing. This kind of slavery is called bonded labour and results in excessive hours of work and extremely low pay – often with extremely detrimental effects on the girls’ mental and physical health. The Freedom Fund, a leader in the global movement to end modern slavery, asked Novo to partner on a project in Tamil Nadu, their South India hotspot. The Freedom Fund identifies and invests in the most effective frontline efforts to eradicate modern slavery. They found that a new approach was needed within communities in southern India to enable groups to have deeper discussions and collectively identify priority actions in order to reduce the prevalence of bonded labour. As a result, the Freedom Fund selected Novo to create a film-based toolkit for the adolescent girls, adults and boys, based on assessment of films and discussion resources Novo had produced in support of normative change and community-based work in other contexts of extreme human rights violations. The goal of the year-long intervention is to reduce young workers’ vulnerability to exploitation, strengthen mechanisms for worker protection, and help survivors recover. 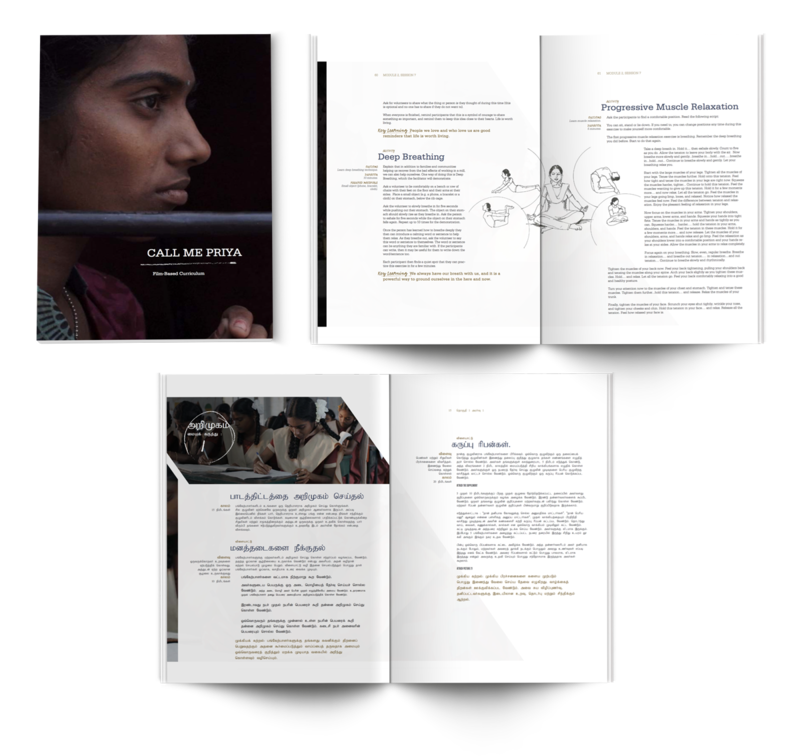 Novo conducted over 60 interviews with current and former mill workers in three districts in Tamil Nadu and used the analysis from the Institute of Development Studies and Praxis of 308 life stories from within affected communities to guide the development of a narrative film and content for the toolkit. The story was continuously refined before and during production to make it true to life for local audiences. The narrative was based on an amalgamation of these stories. A script was written, open casting held and production carried out in India with a diverse international team. The participatory process was deeply meaningful for all involved. Based on other anti-slavery experiences, the use of context-driven narratives was identified as an effective way to trigger discussion of social norms and flag the challenges faced by local residents, without being prescriptive. In approximately 400 primarily Dalit communities across four western districts of Tamil Nadu, the Freedom Fund has been supporting local NGOs to work with groups of adolescents. This film and curriculum will be used by 479 Indian facilitators in all 400 communities reaching over 10,000 girls during a year-long intervention. Novo also wrote two additional curriculums to be used with young boys and with adults, to reach every single cross-section of communities. So that communities can actively end slavery. The curriculums were developed through a collaboration between Novo and human rights and development outreach experts based in Tamil Nadu and tested and piloted through partner NGOs twice in Tamil Nadu. To read about the impact of the film see this recent Reuters article.